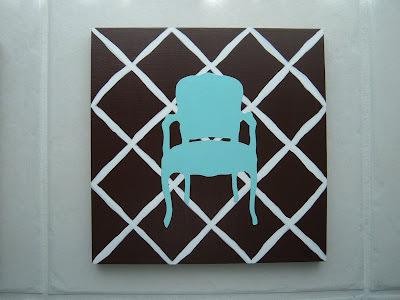 In "Anne Harwell", "Annechovie Commissions", "Chairs"
Aqua Louis XIV Chair on Trellis - aqua chair on deep chocolate background with white lattice design. 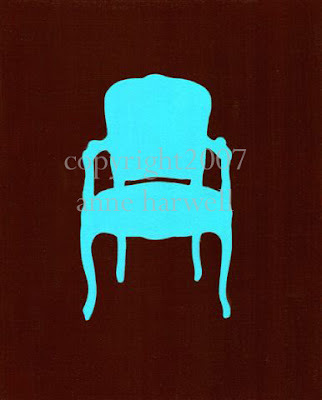 In "Anne Harwell", "Chairs", "Etsy", "Original Art"
CONGRATULATIONS MICHELLE ADAMS AND RUBIE GREEN! 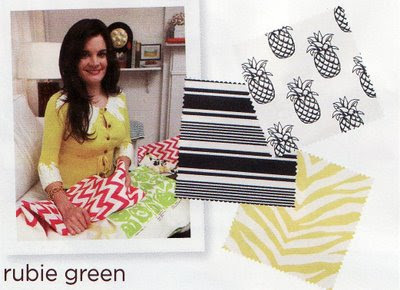 Congratulations to Michelle Adams, creator of Rubie Green, an eco-friendly textile company that features colorful, graphic and beautiful options for furnishing your home or office. Michelle was featured in this month's issue of Domino. Michelle is a young entrepeneur who is also a former Domino employee and has already established Rubie Green as one of the top "green" textile companies in it's relatively short existence. She sells directly to the public, as well as the trade, which is rare for a high-end fabric designer. Michelle amazes me - she's only 25 and is a blogger, designer, and business woman (check out her blog, MA Belle). 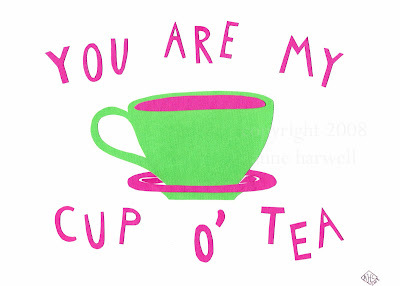 Besides being extremely talented and business-savvy, Michelle is a great person! Before I had even met Michelle, she was already recommending me to a potential client, who ended up working with me on a logo design. I want to thank her and also wish her and Rubie Green all continued success as she launches her new website this month. 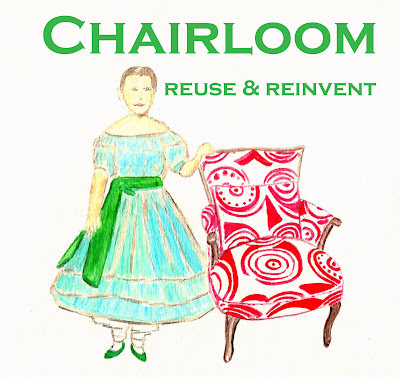 In "Chairs", "Eco-Conscious", "Fabric", "Michelle Adams", "Rubie Green"
Chairloom is the Philadelphia-based business and "green" brainchild of Molly Worth that rehabs antique and vintage furniture. 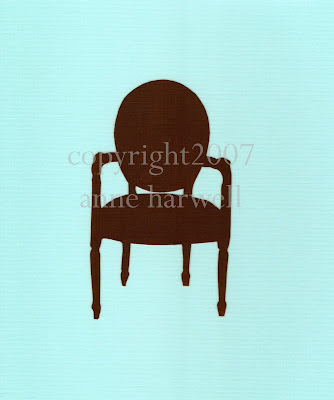 Molly commissioned this logo from me that was inspired by a photo of her great grandmother standing beside a chair. 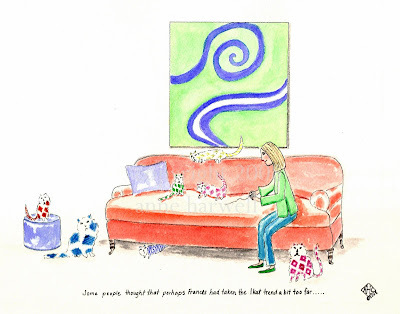 Molly liked the concept of melding the old with the new and hip. 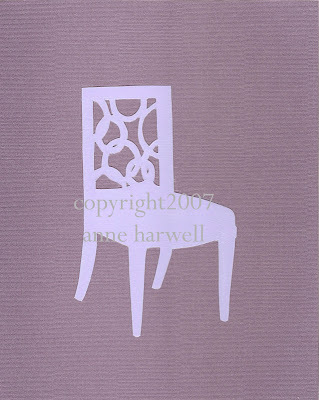 In the antique photo of her great-grandmother, she is standing beside an ornate Victorian chair, so Molly decided it would be perfect to keep the same concept, yet juxtapose the Victorian feel with one of the more modern pieces she re-habbed. 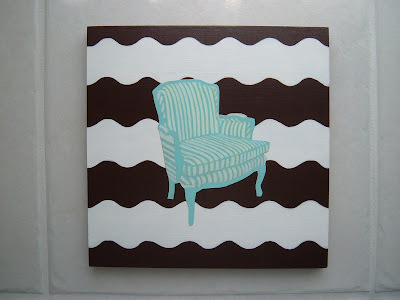 The chair this is painted from is on her site. 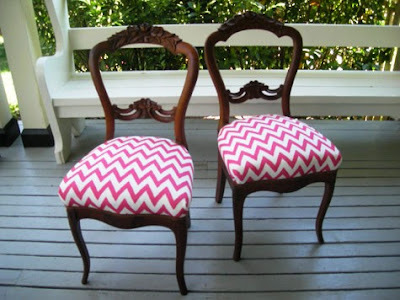 It's covered in a vibrant red and white Virginia Johnson fabric. 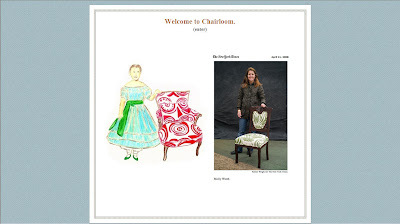 Here, for her home page, Molly had the clever idea to place the logo next to a photo of herself and one of her works of "chair" art that was featured in the New York Times. 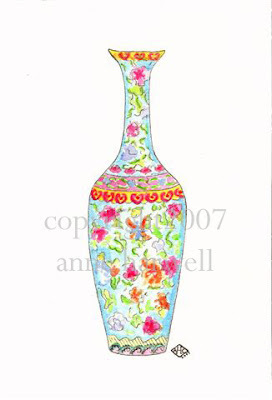 It's fun to go to Molly's site and look at many of the unique pieces she has transformed. She has a distinct gift for taking the best of the old and making it "live" in the present with new finishes and vibrant fabrics that are both eco-friendly and hip. In the near future, I will be featuring Molly in another installment of my "Artist's Portrait" Series. 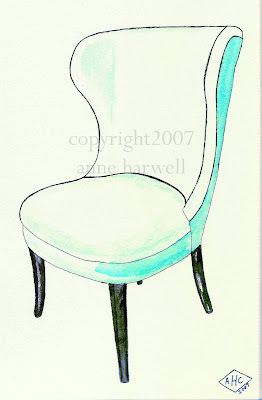 She is a true artist with furniture! 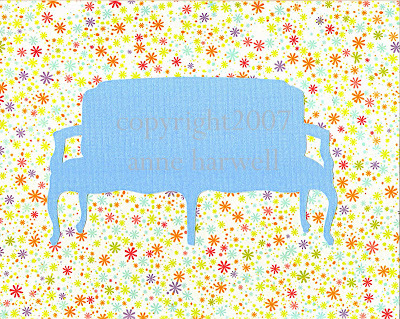 In "Annechovie Logo Design", "Chairloom", "Chairs", "Eco-Conscious", "Molly Worth", "Philadelphia"
This original is for sale now on my Etsy site. It's a much larger scale work than most of my prints and previous collages. 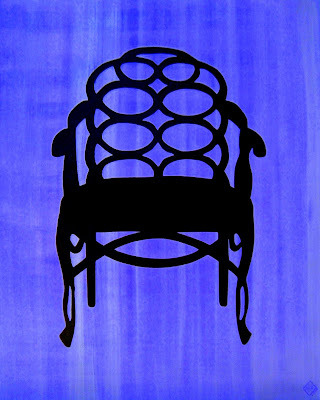 Features a large hand-cut silhouette, painted black, of an Elkins chair on a lilac strie background. Surface is 3/4 inch board. Black finished edges, no frame necessary, ready to hang with groove and wire on back. 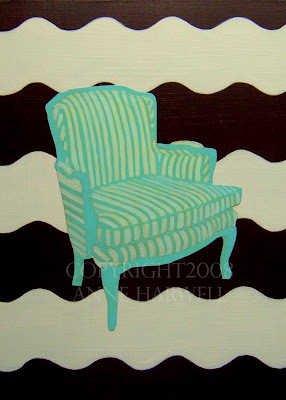 In "Chairs", "Etsy", "My Work", "Silhouettes"
My "Aqua Interior" original painting is one of my pieces being featured for sale in the "New Views" exhibit at Nashville's Bennett Galleries from now until July. Many of my original paintings, as well as some prints, are for sale as part of this exhibit of new and emerging artist's work on paper at Bennettt Galleries. 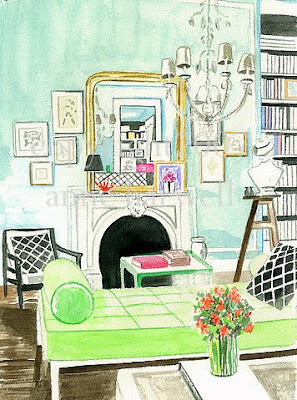 It is called "New Views:Photographs, Prints and Illustrations". 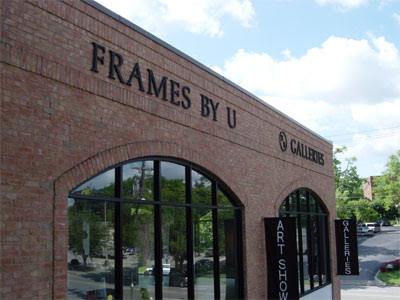 The exhibit features the art of several different artists and runs from April through July. It is the first exhibit of this kind and will be a rotating exhibit that changes artists every 3 months. 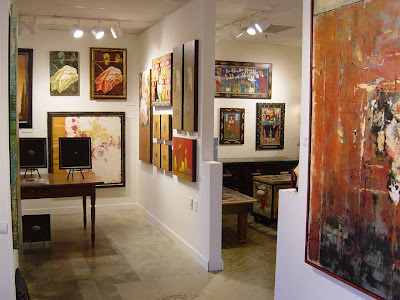 Bennett Galleries, a well established and upscale gallery in Nashville, TN specializes in contemporary fine art. 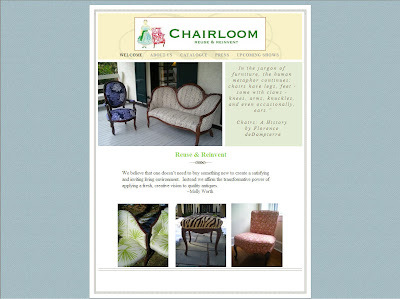 It is family-owned and has been in business for over 30 years. 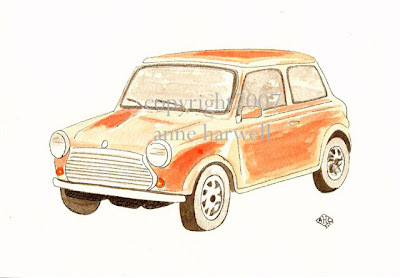 This is another of the smaller original works being featured. 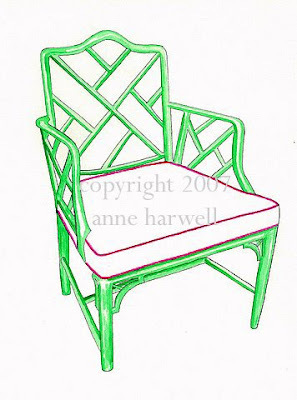 Ikat Cartoon - 2008 This original gouache/ink sketch is also in the show. This original hand-cut paper collage is a new work I created for the show. 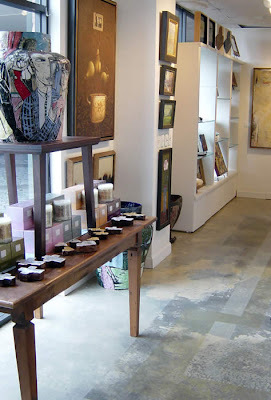 Bennett Galleries carries the work of many well-established as well as emerging artists. It's located at 2104 Crestmoor Road in Nashville, right in the heart of Green Hills. I sent over 20 pieces for the show, so if you live in or near Nashville, please come by and check out "New Views" exhibit at Bennett Galleries. 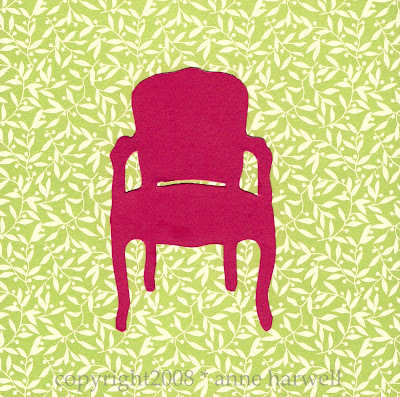 In "Art Galleries", "Bennett Galleries", "Chairs", "Ikat", "Interiors", "My Work", "Nashville"
This handcut silhouette collage features the classic lines of a fine French Louis XIV chair in deep pink on a delicate leaf-patterned green background. 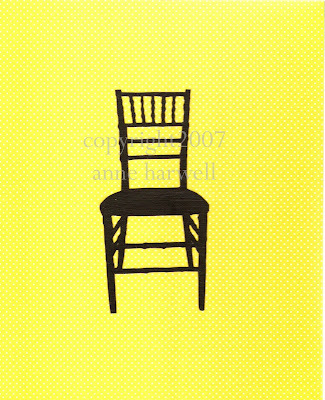 This is a limited edition, completely hand-cut and assembled collage. Very strong graphic quality. Sort of what I'd call neo-traditional pop art. Work is mounted on an 6x6 gesso board, ready for framing or even perfect on its own! Complete with protective finish. 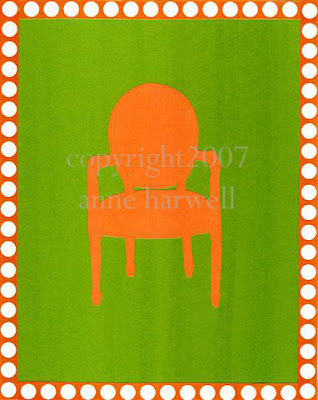 Limited edition piece signed and numbered by artist on the back. Shipped via USPS in an acid-free clear sleeve. 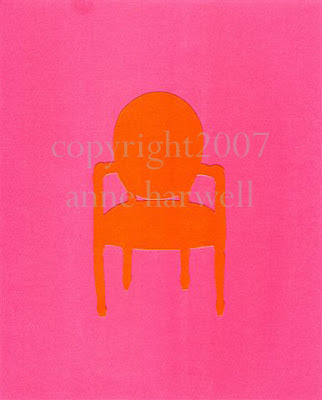 In "Chairs", "Green", "Louis XIV", "My Work", "Pink"
In "Chairs", "Etsy", "Interior Renderings", "Mini Cooper", "My Work", "Note Cards"
In "Chairs", "Etsy", "My Work"
In "Chairs", "Collage", "My Work", "Pink", "Silhouettes"